Central London is just 15 minutes by train and this hotel is within walking distance of East Croydon Train Station. Whitgift shopping centre is also nearby. The Croydon Town Centre Premier Inn has everything you'd expect, incredibly comfy beds in every room, an on-site Thyme Restaurant and free Wi-Fi throughout your stay. 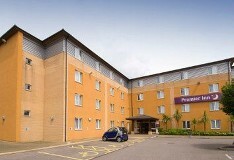 Looking for great Premier Inn deals in Croydon? Book direct now. In pleasant green surroundings this hotel is close to several golf courses and Croydon town centre is only 1.5 miles away. The hotel offers a Beefeater restaurant with great value meals and free car parking is available on site. 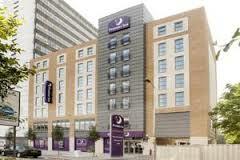 Get the best Premier Inn offers in Croydon by booking direct now. ​Just 12 miles from central London, 20 miles from Gatwick Airport this hotel makes a great base for exploring the capital. 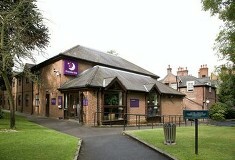 Located in the Colonnades Leisure park close to the business centres of Croydon and just 2 miles from the town centre. Premier Inn Croydon offers free car parking and the nearby Waddon Train station gives quick access into London Victoria. The hotel has an onsite restaurant and fitness facility.